Apple Archives - HexByte Inc.
Apple formally unveiled its new subscription news service today, a tab within its existing Apple News app that is designed to unlock access to premium magazines and a few national newspapers for $10 per month. It’s not Apple’s first stab at curating news content for its iPhone, iPad, and Mac customers, nor is it the first attempt by a leading tech company to design a news experience for the digital era. But it’s the first time Apple is charging a subscription fee for the news it is aggregating in its app. The new service, called Apple News+ (pronounced “plus”), will live within the current Apple News app. Right now the News app has three tabs at the bottom: Today, Morning Digest, and Channel. With an iOS and macOS update rolling out today, that will change to say Today, News+, and Following. Today is focused on the day’s news, Following refers to the media outlets and categories people follow, and News+ is the subscription service. Apple promises a human-curated news experience and insists that it will keep people’s reading habits totally private—both from Apple and from advertisers. Roger Rosner, Apple’s vice president of applications, said at a media event today that more than 300 magazines will be available as part of the $10 per month service. “It’s the only place where you’ll find all of these magazines in a single package,” he said. These magazines include The Atlantic, Cosmopolitan, Outside, Sunset, Bon Appetit, Golf, Marie Claire, National Geographic, WIRED, New York Magazine, and Popular Science. In addition, digital-first properties like TechCrunch, Vox.com, and the newsletter service The Skimm will also contribute content in some way to the paywalled service. One of Apple’s distinct advantages—in addition to its tremendous cash chest, something that some media properties are sorely missing right now—is its prowess in mobile design. Wyatt Mitchell, design director for Apple’s applications (and WIRED alum), demonstrated on stage today at the Steve Jobs Theater how some magazines will have “living” images within the News+ app. National Geographic, for example, might have a video snippet of the Sydney, Australia, skyline as one of its covers. Apple is also promising a human-curated news experience, and it insists that it will keep people’s reading habits totally private—both from Apple and from advertisers. However, the News+ app’s reach will be limited in some ways. It’s available only in the US and Canada to start, with launches in Australia and the UK expected later this year. It also appears to be available only on iOS devices, which was the case with the previous version of Apple News. Lastly, it’s important to note that not all content from participating magazines and newspapers will appear in the app; Apple will rely more heavily on feature stories and photo essays for its News+ curation. Apple’s news subscription service wasn’t exactly a secret before Monday’s unveiling. In 2018 the company acquired Texture, a digital news delivery and news subscription service that had been created by a consortium of big-name publishers, including Hearst Magazines, Meredith Corporation, and Condé Nast (which publishes WIRED). Apple’s senior vice president of software and services said at the time that the company was committed to “quality journalism from trusted sources.” As Apple formalized plans for its new premium news service, information began to leak about the project. However, the Los Angeles Times, The Wall Street Journal, and The Star, Canada’s largest daily paper, have signed on to be a part of Apple News+. Even Apple’s best-selling accessories are most likely AirPods, which had a meme-tastic holiday season and are, safe to say, used mostly in conjunction with iPhones. (I’d bet the rest of the accessories dollars are coming from dongles and hubs, since there is nary a spare port on the 2018 MacBook.) As for stand-alones, its smart speakers are reportedly great, but they’re not putting a dent in Amazon or Google, by latest count. Apple TV, sure. Fine. But Roku shouldn’t have been embedded in a TV before Apple was. The Research app is just the latest example of Facebook’s doublespeak. 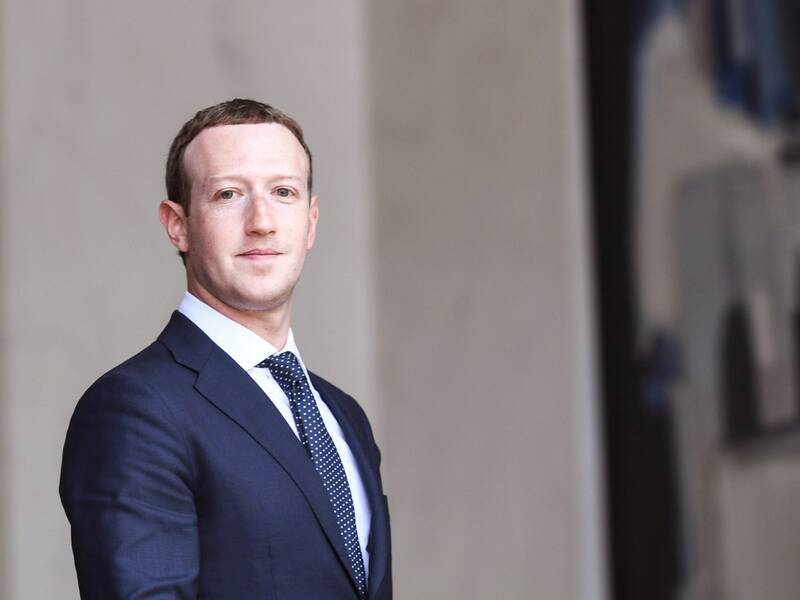 In public and even under oath, executives like Mark Zuckerberg and Sheryl Sandberg have spent at least a year—if not their entire careers—promising to do better by their users. But in private, evidence abounds that the company continues to flout every rule and attempt at oversight placed before it. They’ve promised to protect user privacy by cutting off developer access to data while continuing to give it away to corporate giants and major advertisers. They’ve vowed to investigate foreign interference in elections, all while withholding information about the extent of that interference on Facebook. They’ve launched efforts to make their ads more transparent, while crippling external efforts by organizations like ProPublica to pull back the curtain even further. The TechCrunch story is not the first scandal for Facebook within the last week. It’s not even the first scandal involving minors. A recent investigation by Reveal showed how Facebook knowingly duped kids into racking up monster fees on their parents’ credit cards while playing Facebook games. Staffers toyed with whether they should stop it, by requiring kids to reenter credit card numbers before they could spend the money, but opted against it because it would threaten Facebook’s revenue. They fought efforts by parents seeking a refund, and even had a name for this gambit: “friendly fraud.” Facebook has since said that it updated its policies in 2016 to “provide dedicated resources for refund requests related to purchased made by minors on Facebook.” But the fact that Facebook willingly engaged in activity it defined itself as fraud suggests just how far the company will go to grow. Group FaceTime chats allowed people to eavesdrop on anyone they called, a bug so bad that Apple pulled the plug until it comes up with a fix. It’s often hard to tell just how seriously to take reports of a new vulnerability. The jargon is inscrutable, and the skills needed to pull off the attacks are possessed only by highly skilled professionals. But a bug afflicting Apple’s FaceTime chat has no such ambiguity. How bad is it? Rather than risk exposing people to it, Apple pulled the plug on FaceTime group chats altogether. Unlike other high-profile gaffes, what makes this bug so alarming isn’t the depth of knowledge someone could glean by exploiting it. It doesn’t give hackers access to your emails or banking information. Instead, it lets a FaceTime caller listen in on whatever’s happening on the other end of the line—before the recipient answers the phone. With a few extra steps, they could trigger a video feed as well. The vulnerability was first discovered by a 14-year-old in Arizona, who found that he could eavesdrop on his friends when setting up a chat for a round of Fortnite. He told his mother, who in turn first attempted to notify Apple on January 20, and received no response to various inquiries for over a week. The exploit was also relatively simple to pull off. All someone had to do to trigger the illicit audio was start a normal FaceTime call, then quickly add their own number as a third person in a group chat. If the person you were calling pressed the power button from their iOS lock screen, they would have transmitted both video and audio. The bug was first reported on Monday by Apple-focused news site 9to5Mac. The implications are clear. While it’s not the sort of high-wire attack you’d find a nation state trying to pull off to steal intel secrets, it has deep potential consequences on a personal level. Even a few seconds of eavesdropping on an unguarded moment—especially when the target is deciding whether to pick up your call—is an unacceptable breach of privacy. 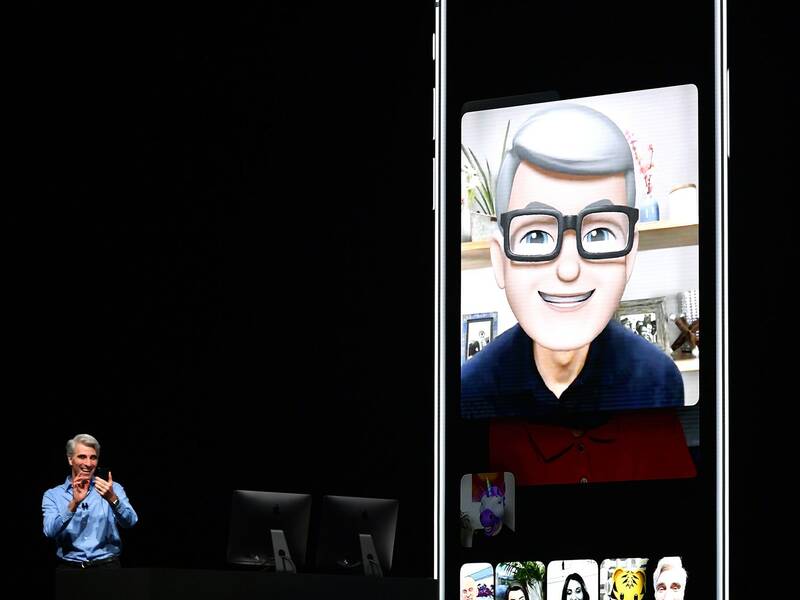 But rather than wait for that fix to come around, as generally is the case, Apple took the additional step of shutting down group FaceTime chats altogether in the interim. It appears to be the first time the company has taken such aggressive steps to quash a software issue. The combination of high stakes and low barriers apparently made it not worth the risk. Apple had a rocky year of security stumbles in 2017, including a macOS High Sierra bug that let anyone gain root access to a Mac by simply using the password “root.” But Apple regrouped last year, focusing on stability improvements rather than flashy new features, a gambit that appears to have largely paid off. Group FaceTime chats, which were also introduced last year, have not gone so smoothly. Last fall, security researcher Jose Rodriguez used a flaw in the new function to bypass the iOS lock screen and view someone’s entire address book. The two issues appear to be unrelated but speak to Apple’s continued need to more rigorously vet new software pushes. The best thing you can do for now? Well, nothing, really, given that Apple has already voided the issue. But do install that software update as soon as it comes through, whenever it does. In the meantime, there are other group chat apps to tide you over. And take this whole ordeal as a not-so-gentle reminder that your smartphone has a microphone and a camera on it, and so does your computer, and maybe it’s healthy not to trust all of those implicitly. This story has been updated to include comment from Will Strafach. 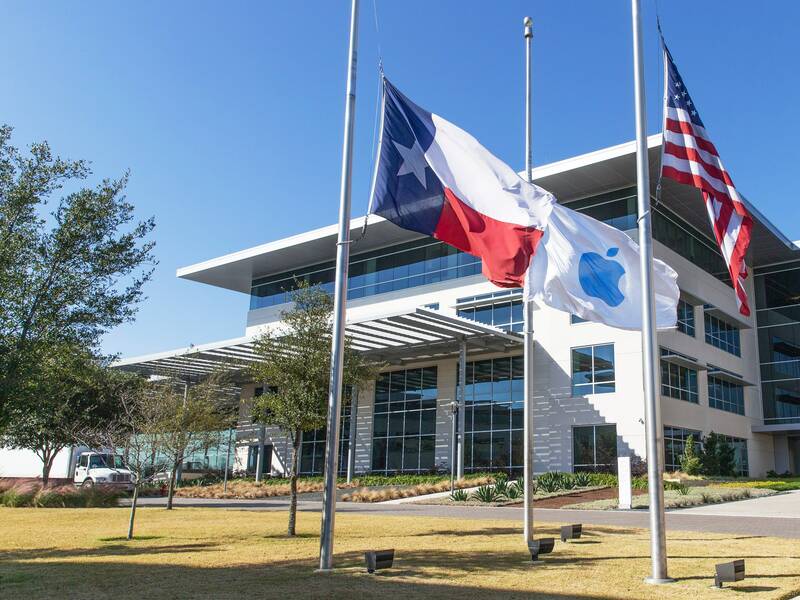 Apple’s existing office in Austin, Texas, a few miles from where the company announced plans to build a new campus. The property tax abatement contract drawn up by Williamson County promises Apple a refund on 65 percent of its property taxes over the next 15 years—a complicated string of legalese that’s worth an estimated $16 million. There are no stipulations for what constitutes a full-time job beyond whatever Apple determines is a full-time job, and no salary or benefit requirements, unlike the previous incentives offered to Apple by neighboring Travis County, home to Apple’s first campus in the Austin area. The company is also set to receive another $25 million from the Texas Enterprise Fund, a controversial state-run “deal-closing” fund designed to make Texas more attractive to companies considering investing elsewhere. The enterprise fund incentives were contingent on the passage of the Williamson County package. Over the past month, both Amazon and Google have announced their own domestic expansion plans, with price tags north of $1 billion. After a high-profile hunger-games-style search for a second headquarters, Amazon said it would create three new sites in New York, northern Virginia, and Nashville, Tennessee, for which the company expects to receive $2.2 billion in incentives. Google took a different route, proudly touting the lack of incentives offered in exchange for its $1 billion New York City expansion. “[Amazon is] running their own play and it’s a very different play than ours,” Google’s head of external affairs, William Floyd, told the New York Times last week. Unlike Amazon, Apple’s quest for a new facility was relatively low-key. The company wasn’t looking for a flashy new headquarters—which would have brought with it the promise of thousands of high paying jobs, like executives or key engineers—but simply a fourth campus, which would bring more middle-skill jobs to the area by staffing departments such as customer support, engineering, finance, sales and operations.The company’s existing Austin campus already serves many of the same functions. In January, Apple announced plans to bring back most of the $252 billion it had stashed overseas following a change in the tax code that allowed for a one-time repatriation of corporate funds at a much lower tax rate. The company said it would invest more than $30 billion of that in a US-based expansion, promising to create 20,000 new jobs and one shiny new domestic campus, located outside of Texas and California, which currently boast bulk of its operations. Yet, last week Apple decided to go to Austin anyway. Williamson County officials say the about face was the result of their nearly a year-long effort to woo the tech giant to Texas. In an interview with Austin’s Community Impact newspaper, Williamson County Judge Bill Gravell, credited the success to the economic development teams and city officials that negotiated the incentives package. But Greg LeRoy, executive director of Good Jobs First, a research group that tracks government incentives, thinks otherwise. “When companies decide where to expand, [tax incentives] are the least important part of those calculations,” said LeRoy. State and local taxes—which local entities often waive or reduce in an attempt to attract companies like Amazon or Apple—account for around 2 percent of a company’s cost structure, says LeRoy, making them a small factor in such decisions. What matters more to companies on the prowl for a new location, LeRoy says, is the cost of labor, occupancy, raw materials, logistics, technology, transportation and the like. Companies, and tech giants especially, want to make sure that there are enough potential employees in the area with the skills for the thousands of jobs they plan to create. By those standards, Austin was a no-brainer for Apple. The city already had every type of talent pool and infrastructure Apple could possibly need. Apple, Amazon, and Google did not respond to requests for comment. Yet $41 million of incentives were offered anyway. LeRoy says that cities and politicians often offer incentives regardless of their dubious efficacy because it gives the appearance that officials are working to promote their jurisdictions. “The trouble is we’ve had this system created in America that allows companies to control the narrative, and get paid to do what they would have done anyway based on the business basics,” says LeRoy. “As a rule, company expansions are generally more likely to have occurred without any incentive,” says Nathan Jensen, a University of Texas Austin professor and coauthor of Incentives to Pander: How Politicians Use Corporate Welfare for Political Gain. Jensen considers the incentives offered to Apple for this expansion problematic, because Apple likely would have expanded its operations around Austin in any case. 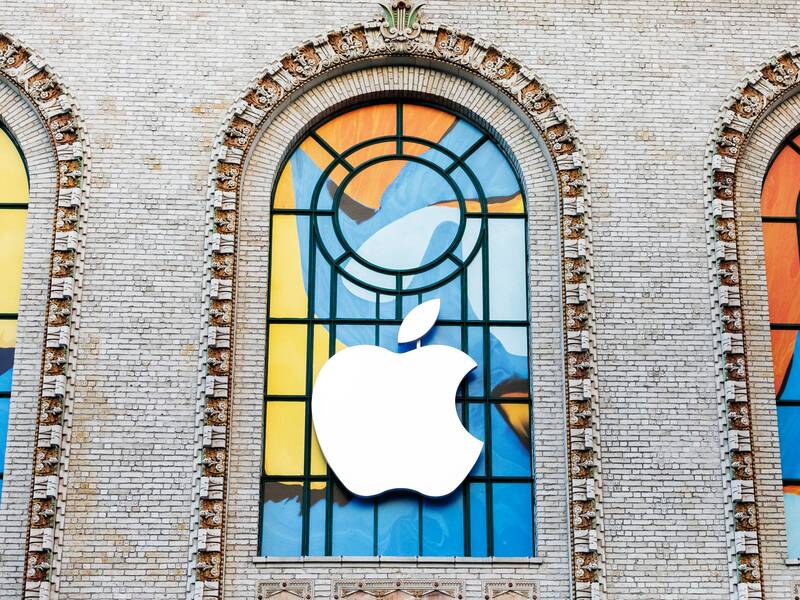 Apple took over the theater at the Brooklyn Academy of Music for its media event Tuesday. The theme of Apple’s second fall hardware show: throwbacks. The event, at Howard Gilman Opera House in New York City, featured a revival of the MacBook Air, a dusted-off Mac Mini, new iPads, and, for some reason, Lana del Rey. Did you miss the show? You can watch the whole thing here, catch up on the analysis from our liveblog, or simply read on for our TL;DR recap.